Mount Buller is a town located in the Shire of Mansfield in the Alpine region of the Australian state of Victoria. On the 11th (Sun), tour the pleasant surroundings at Mt Buller. For photos, traveler tips, other places to visit, and other tourist information, read our Mount Buller online trip maker . Singapore, Singapore to Mount Buller is an approximately 14.5-hour flight. The time zone difference moving from Singapore Time to Australian Eastern Standard Time (Victoria) is 2 hours. Finish up your sightseeing early on the 11th (Sun) so you can travel to Newhaven. Newhaven is a town in southern Victoria, in the south Gippsland region. Start off your visit on the 12th (Mon): learn about all things military at National Vietnam Veterans Museum, admire nature's wide array of creatures at The Nobbies Centre, then find something for the whole family at A Maze'N Things, then step off the mainland to explore Koala Conservation Centre, and finally take a leisurely stroll along Rhyll Jetty. To see other places to visit, ratings, and more tourist information, use the Newhaven online driving holiday planner . Traveling by car from Mount Buller to Newhaven takes 4.5 hours. Expect a daytime high around 16°C in August, and nighttime lows around 8°C. Wrap up your sightseeing on the 12th (Mon) to allow time to travel to Port Campbell. Port Campbell is a coastal town in Victoria, Australia. Kick off your visit on the 13th (Tue): take some stellar pictures from Twelve Apostles, then take in the dramatic natural features at The Razorback, then get great views at Loch Ard Gorge, and finally make a trip to The Grotto. Get ready for a full day of sightseeing on the next day: explore the wealth of natural beauty at Port Campbell National Park. To see other places to visit, reviews, more things to do, and tourist information, go to the Port Campbell trip itinerary planning app . Traveling by car from Newhaven to Port Campbell takes 4.5 hours. Wrap up your sightseeing on the 14th (Wed) early enough to drive to Melbourne. 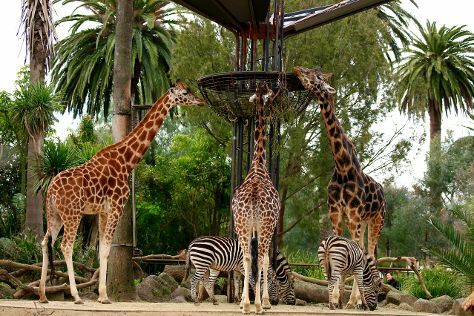 Attractions like Melbourne Zoo and Fitzroy Gardens make great kid-friendly stops. And it doesn't end there: examine the collection at Melbourne Museum, explore the world behind art at National Gallery of Victoria, enjoy breathtaking views from Eureka Skydeck 88, and take in nature's colorful creations at Royal Botanic Gardens. To find more things to do, reviews, ratings, and tourist information, use the Melbourne journey maker site . You can drive from Port Campbell to Melbourne in 3.5 hours. Other options are to do a combination of bus and flight; or do a combination of bus and train. In August, daytime highs in Melbourne are 16°C, while nighttime lows are 6°C. Finish your sightseeing early on the 18th (Sun) so you can travel back home.